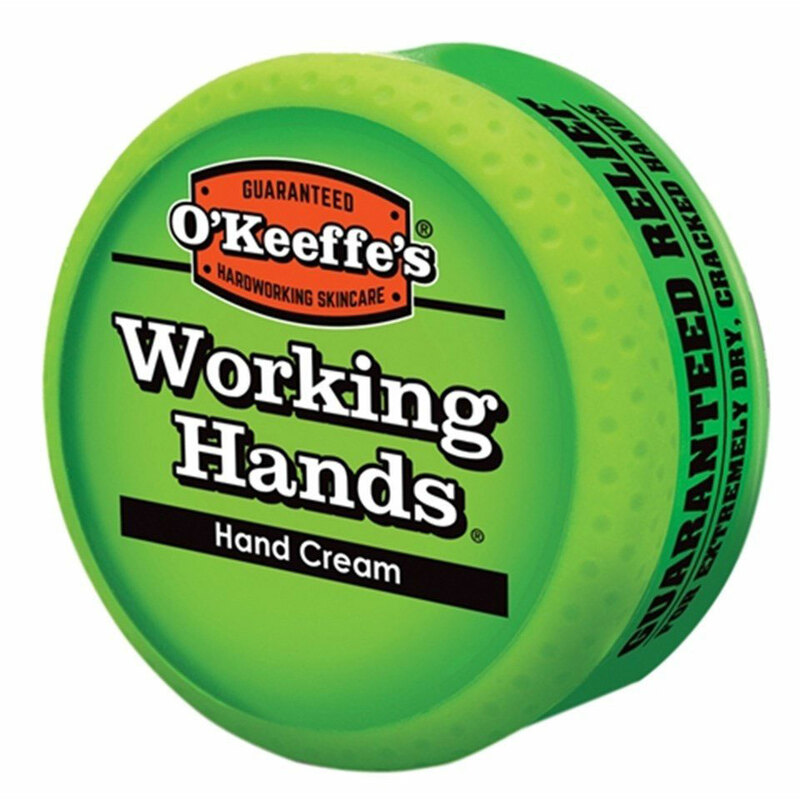 O'Keeffe's Working-hands cream is a highly effective moisturiser for severely dry skin that frequently cracks and splits. The odourless, concentrated formula naturally rehydrates the skin, adjusting the pH balance and helping to retain moisture, creating a difference you feel within days. 96g. From builders and contractors to gardeners and nurses, many people suffer from the discomfort that dry skin can bring. Our promise is to make the best skincare products for workers who rely day-to-day on their hands. Non-greasy and free from scents and perfumes, O’Keeffe’s Working Hands not only moisturises dry skin, but also protects your skin, giving it chance to heal. Maintaining healthy hands not only feels great and keeps them active, but it also helps prevent other, more serious problems from developing. O’Keeffe’s highly-concentrated proprietary formulations were developed to relieve severely dry skin, decrease dryness and provide long-lasting moisturisation. The skin’s natural barrier can be damaged, which leads to increased water loss that causes dry, cracked skin. O’Keeffe’s Working Hands not only protects the skin from further water loss, but the creams also draw moisture to the skin. The protective barrier seals in that moisture, reducing the rate of evaporation.